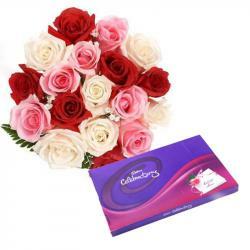 Product Consist : Bunch of 50 Red Roses along with Cadbury Celebration Box (Weight : 125 Gms). 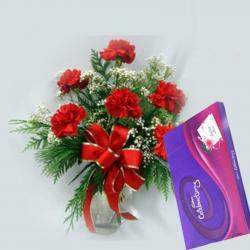 We come with unique valentines hampers with different combinations of gifts. 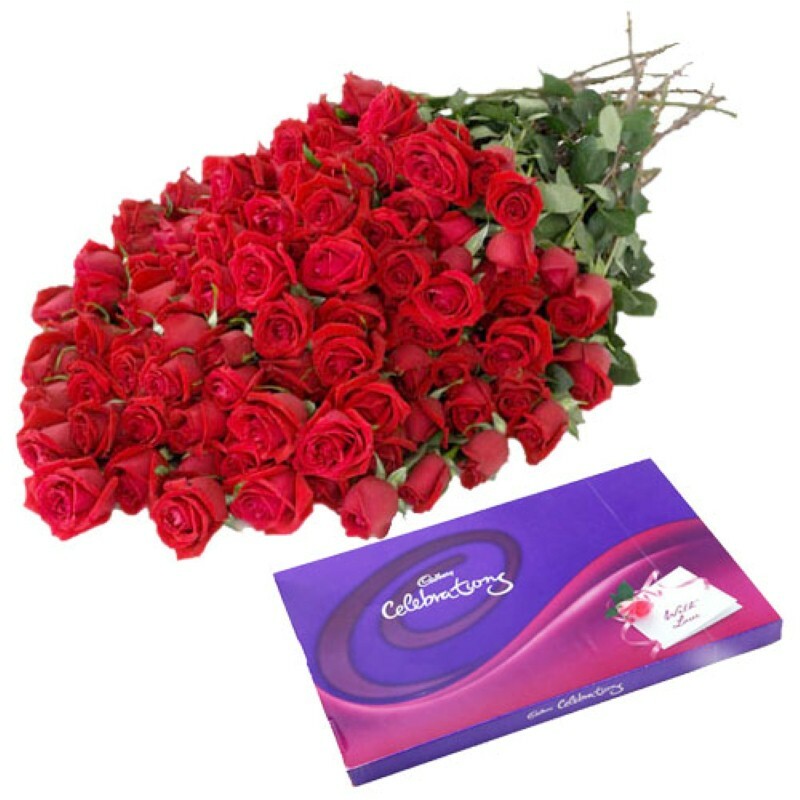 This combo consists lovely bouquet of red roses and chocolates These roses buds are especially handpicked and freshly for garden. 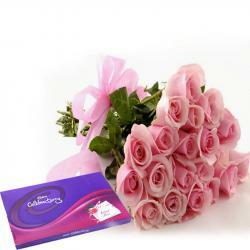 The fragrance of the bouquet will bring a magic in the atmosphere and will cheer up the mood. The combo also has a box of Cadbury celebration assorted chocolates which are very crunchy and tasty chocolates inside the box. The overall look of the combo will bring liveliness in the air and will be loving by all. 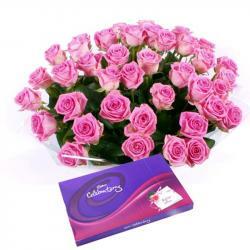 Product Includes : beautiful bunch of 50 Red Roses with Cadbury Celebration box (Weight : 125 Gms).